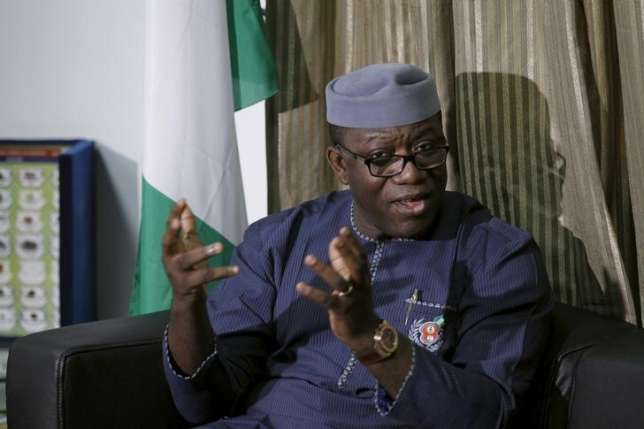 Minister of Information and Culture, Alhaji Lai Mohammed, on Sunday said the outcome of the Ekiti election won by Kayode Fayemi, the candidate of the All Progressives Congress (APC) is a referendum on the performance of the President Muhammad Buhari’s administration. In a statement issued on Sunday, the Minister said the election which was more than one state’s governorship election was not just a defeat for the Peoples Democratic Party (PDP) but all naysayers and purveyors of fake news. He said: “With the victory of the All Progressives Congress (APC) in the just-concluded Ekiti governorship election, Nigeria people have spoken, and they have spoken loudly, about their perception of the APC-led Buhari Administration. “The election was more than one state’s gubernatorial poll. It was a referendum on the performance of the Buhari Administration. And Nigerians have given their verdict! “It’s not just a defeat for the PDP, it’s a defeat for all the naysayers who have made themselves the spokespersons for Nigerians. “Furthermore, it is a death knell for fake news! Anyone who monitored the social media before and during the election would think it would be a landslide for the PDP. But the reality is different. “We want to most sincerely thank the people of Ekiti State for ensuring that the election was free, fair and credible, as attested to by local and international observers, and for turning out en masse to exercise their franchise. “In 2014, the votes of the people of Ekiti did not count as the then PDP-led Federal Government used federal might to hijack the election and concoct the result. They barred two serving Governors from travelling to Ekiti to support their fellow Governor. They wilfully shut the Akure airport and we, leaders of then opposition APC, were forced to return to Lagos by road in the night.